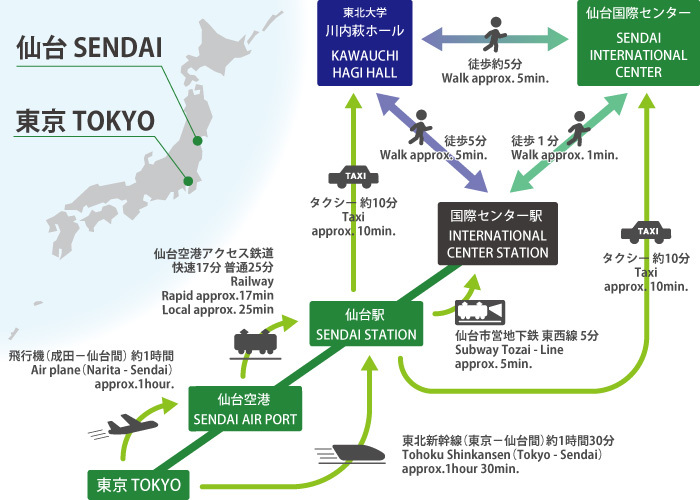 Take the subway from Sendai Station to Kokusai Center Station (4 min) and exit at West 1. Walk 5 mins from there. 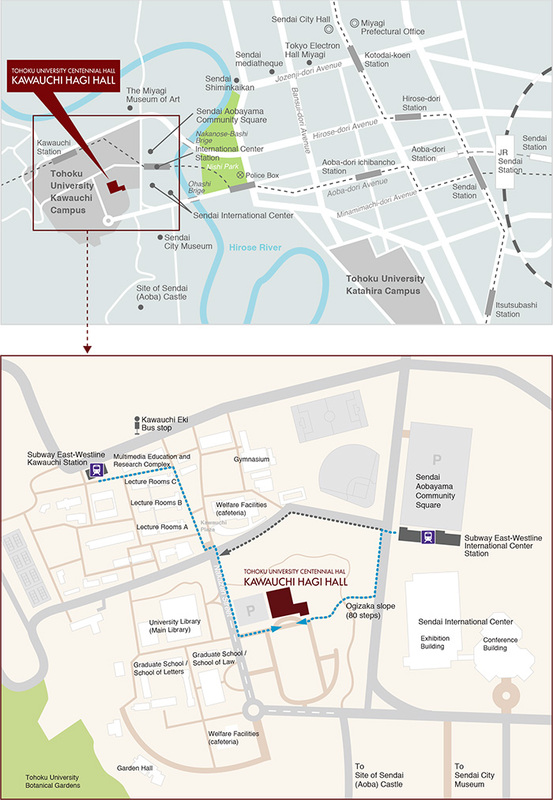 ※The hotel parking lot is located in the basement 1. JTB TOHOKU Inc. (JTB) has been appointed as the official travel agent for the World Bosai Forum and will handle hotel accommodation. 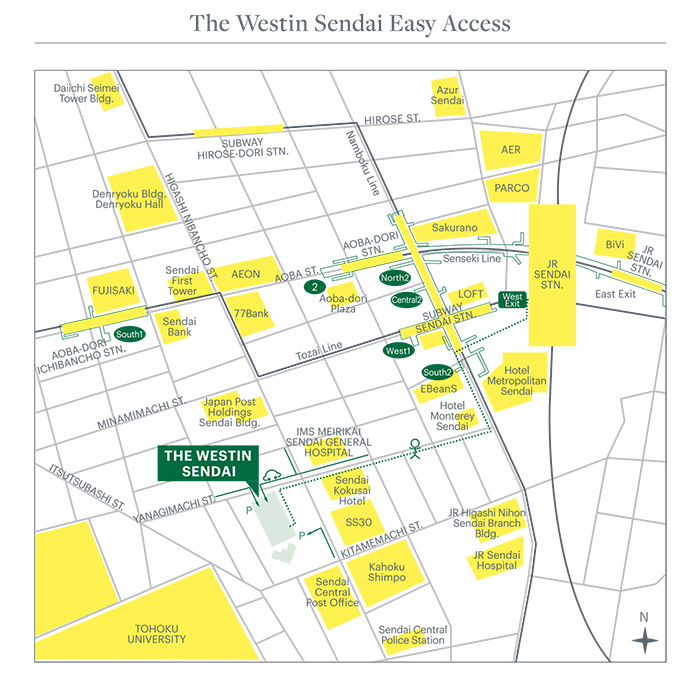 Hotel reservations will be made on a first-come, first-served basis. For more details, click the above button. 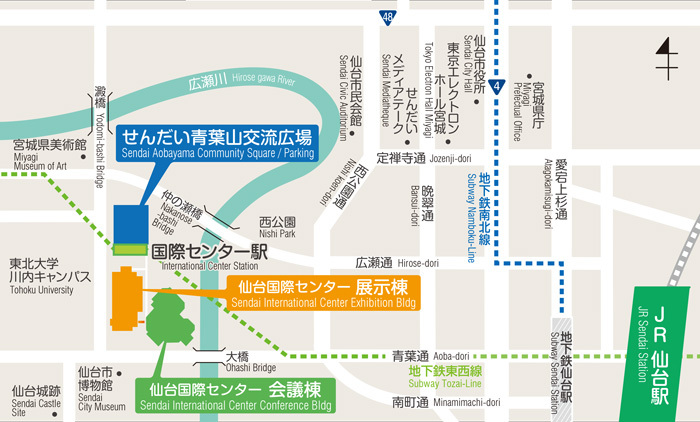 Before and during the event, hotels in Sendai City will be highly occupied. Early reservations would be encouraged.